The Peckham raised star has already swapped verses with big named artists such as Little Dee, Jammer, Fem Fel and Luc Skyz, as well as working with accmomplished producers Blemish and Randy Valentine from the collective J.O.A.T, Tattoos & Piercings (ft Shimmer & Sas Killa), I Predict A Riot ft Durrty Goodz (London Riots) and Till The Day (produced by Dot Rotten). 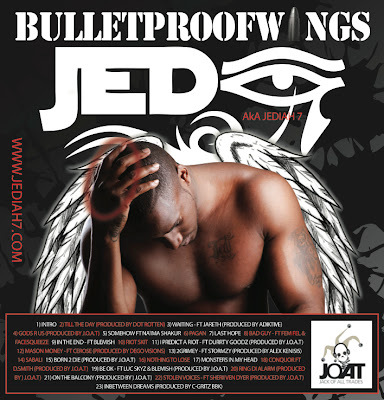 Jediah’s critically acclaimed debut mixtape, 'Honeyz Luv Hustlaz', was released in 2011, and helped established himself as one of the most prominent acts in the UK’s urban music scene. 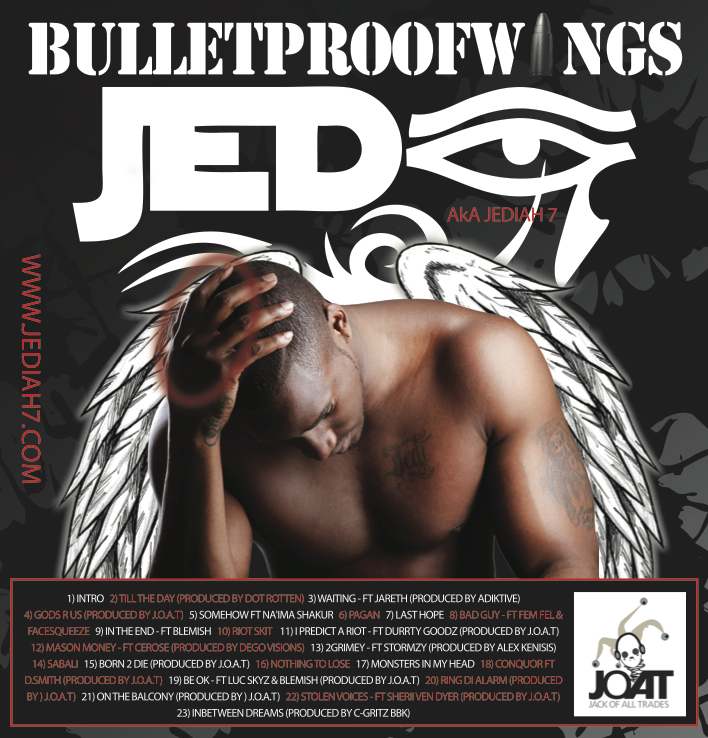 The multi-talented artist and actor now celebrates the release of his long-awaited second mixtape 'BULLETPROOFWINGS', an exciting new project featuring the MC’s versatile sounds that switch from fast paced high-tempo dance tracks to deep soul hip-hop fused numbers as this young man shows he has a flavour to satisfy almost everybody.